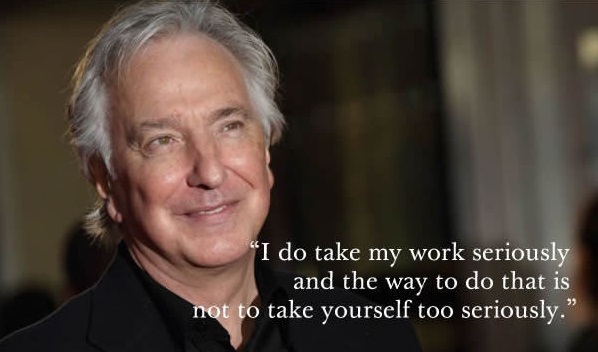 6 POWERFUL Quotes by Alan Rickman to Remember THE LEGEND He will Remain... Always! - RIP SNAPE! 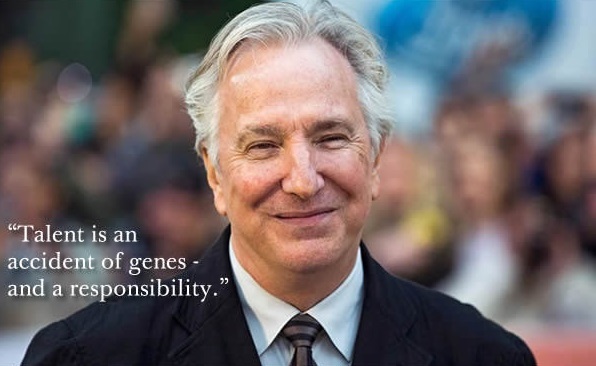 6 POWERFUL Quotes by Alan Rickman to Remember THE LEGEND He will Remain… Always! – RIP SNAPE! 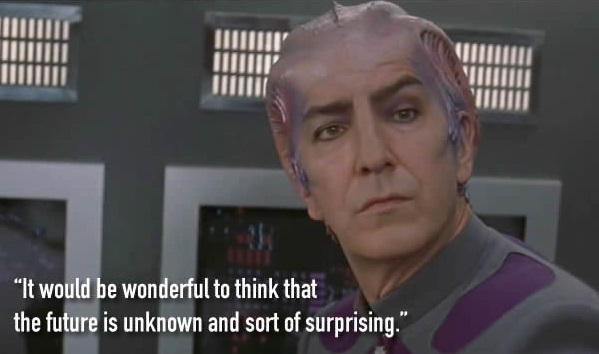 Alan Rickman became one of Britain’s best-loved acting stars thanks to roles including Professor Snape in the Harry Potter films and Hans Gruber in Die Hard. Announcing his death on Thursday, a family statement said: “The actor and director Alan Rickman has died from cancer at the age of 69. He was surrounded by family and friends. 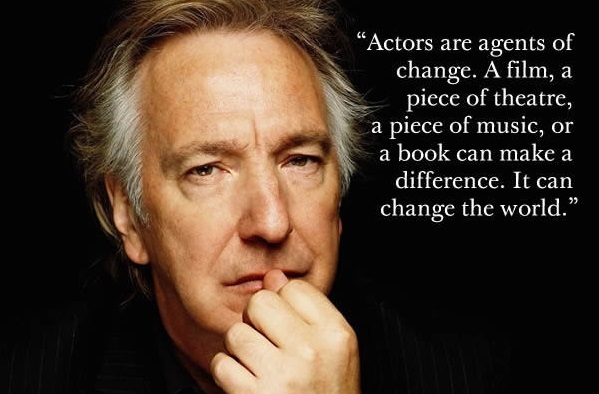 “Actors are agents of change. A film, a piece of theater, a piece of music, or a book can make a difference. It can change the world.” – A powerful piece of art can touch the essence of the human spirit penetrating through all barriers. “Talent is an accident of genes – and a responsibility.” – Many pieces, accidentally or not, fell into place so you can be naturally good at something. No matter what your talent is, there is a GREAT responsibility with it. “I do take my work seriously and the way to do that is not to take yourself too seriously.” – Once we take ourselves out of the equation, out of our own way, only than our true potential can shine. 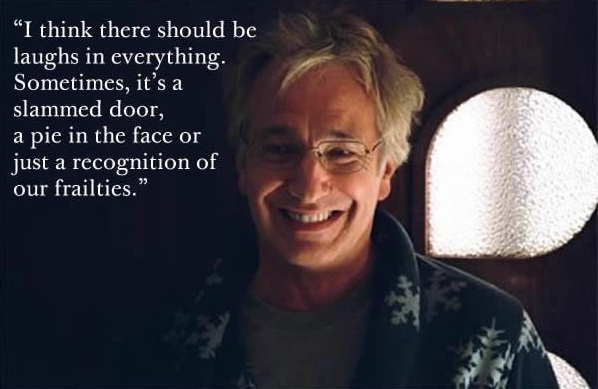 “I think there should be laughs in everything. Sometimes, it’s a slammed door, a pie in the face or just a recognition of our frailties.” – Comedy is an essential part of survival, believe it or not, it is both the reason keeping us from flying too high and the bliss showing us how more we can be. “It would be wonderful to think that the future is unknown and sort of surprising.” – No matter how terrifying the unknown seems to us, it is the only place where anything can happen. 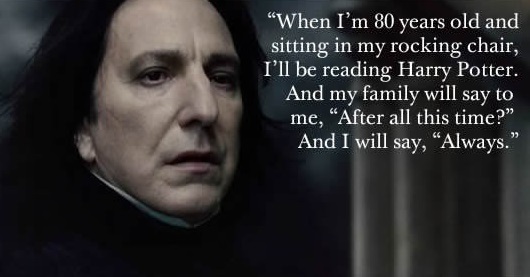 “When I’m 80 years old and sitting in my rocking chair, I’ll be reading Harry Potter. And my family will say to me, “after all this time?” And I will say, Always.” – RIP Legend!